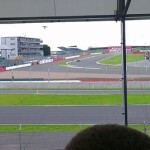 Incredibly similar to Luffield Corner in terms of its location, Woodcote Corner offers a better view of the National Pit Straight and in some seats, even views down to Copse Corner (Woodcote B). 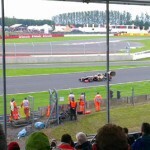 The Woodcote Grandstands were set further back for the 2010 British Grand Prix after a gravel runoff area was installed for safety, but the view was unspoilt for F1 fans. The corner is flat out and brilliantly demonstrates an F1 cars aerodynamics working in harmony with the grip of the Pirelli tyres. It’s pretty noisy here with the cars at full throttle all the way down to Copse. View looking down the National Pit Straight. You can see the cars on the Wellington Straight. Wtahc the cars through Luffield as well. 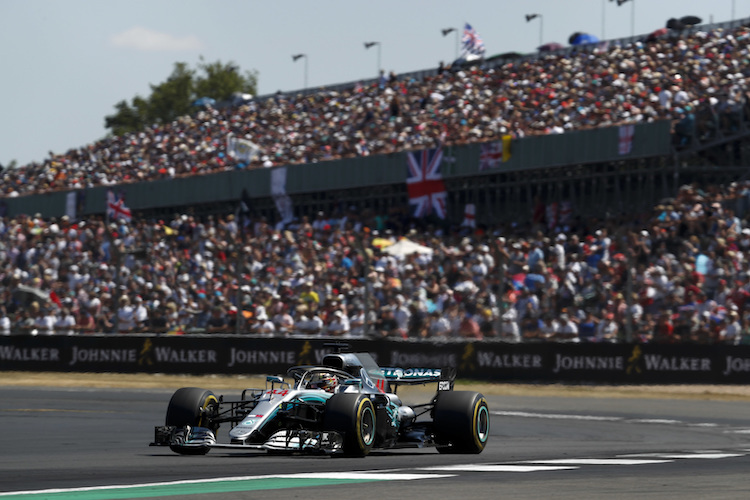 Many seats at Woodcote will offer a brilliant view of the Wellington Straight (Woodcote A) and all the action taking place along there. This is where the DRS zone is placed meaning numerous overtaking moves made into Brooklands corner which is right in front of you. 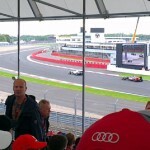 The large TV screens above the old pit lane also aid you in keeping tracking of events around the rest of the Silverstone circuit. The F1 Village used to be located behind Woodcote, but is now located on the track itself on the now disused Bridge corner.